Right Angle Lugs as used when more than one cable is to be terminated into the contact block or take off palm and the cables are coming from different directions, rather than trying to form or bend a traditional lug. Professionally formed at source, meeting all the relevant standards, takes all the hassles away.  Remora Right Angle Lugs are manufactured from precision drawn seamless copper tube to BS EN 12449:1999. All standard types in the range between 10mm2 and 150mm2 have bell mouth entries to ensure ease of entry, even with flexible conductors. All Copper Tube Lugs are tin plated to BS 1872 Part 2 for corrosion resistance and suitable for use up to 150°C. 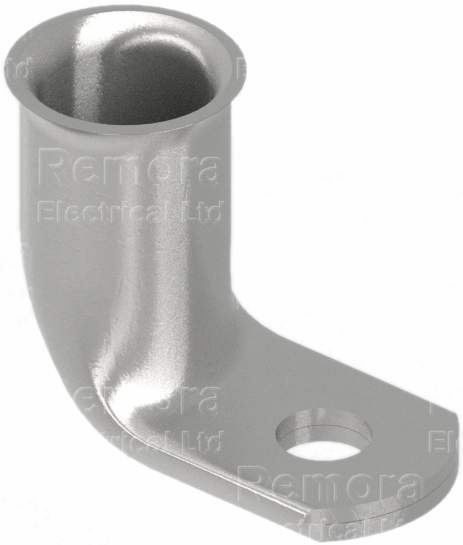 Nickel plated lugs are available for high temperature applications up to 343°C.